A DD214 is proof of your military service. Use your DD214 to access military benefit programs such VA home loans, veteran affairs health care and the GI bill. Who can get a DD214? Should I pay for a DD214? 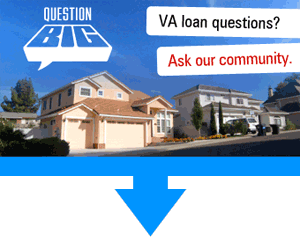 Can I get a second mortgage if I my current mortgage is a VA loan? Can my relative live in a home without me if I finance it with a VA loan? Military members are entitled to apply for VA home loans as part of their military benefits. If you are retired or separated, you must provide proof of service and the nature of their discharge. This is accomplished with your DD Form 214. If you have served in the military you know that The United States Department of Veterans Affairs offers educational benefits through the GI Bill-but do you know how to gain access to these funds when you decide it's time to go to school? You don't technically need a medical screening in many cases to get your DD Form 214. Not all branches require one prior to final outprocessing and receipt of it, but there is one important reason to schedule such appointments. Often your DD Form 214 can help you get a federal job as a contractor, a GS employee or related position. The first instance it comes in handy is naturally at application time when some veterans are automatically eligible for a hiring advantage.